Giant anteaters, howler monkeys, ocelots, endangered jaguars and clouds of butterflies are among the attractions at this World Heritage-designated park that marks the border between Brazil and Argentina. 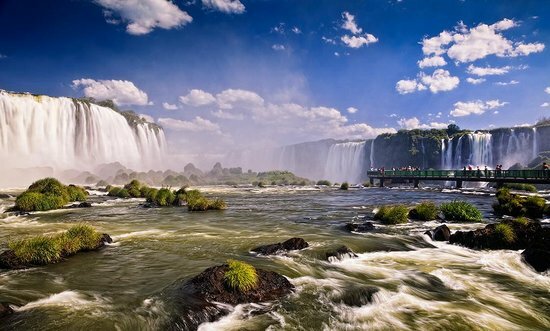 By foot or by raft, explorers can view one of the world's most stunning waterfalls, Iguazu Falls. Among the park's 270 waterfalls, spectacular Devil's Throat combines 14 falls and generates a "perpetual rainbow" in good weather.